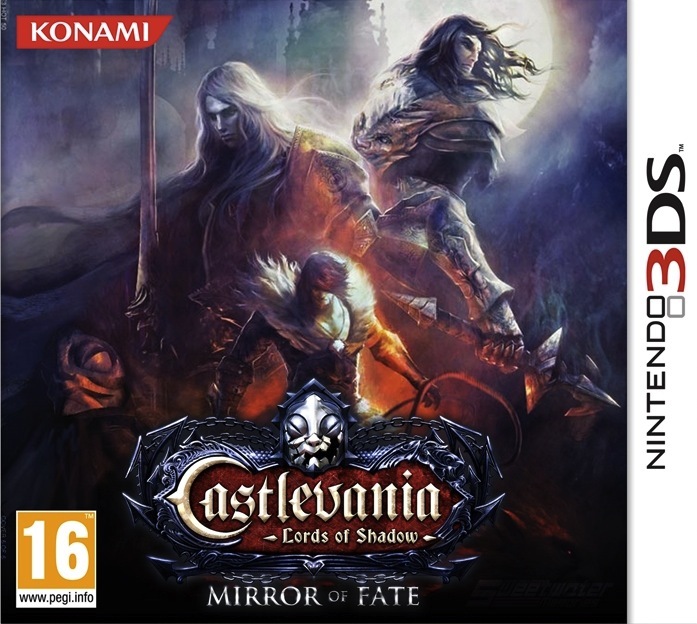 This game is the most recent in a long line of Castlevania titles for Nintendo platforms. However, it shares very little in common with what has come before it. The previous games were helmed by Koji Igarashi and developed by Konami. They followed the Metroidvania formula of platforming, backtracking and exploration on a large map and using items to unlock new areas. This is a separate story and part of a trilogy created by Spanish developer MercurySteam. The first title was released on Xbox 360 and Playstation 3, being one of the first 3D Castlevania games not to be critically panned. It was a more action-oriented game, resembling God of War but added in some backtracking to later levels in order to find power-ups. Moving to 3DS has prompted a change to a 2.5D side-scrolling presentation, while keeping the gameplay from the original Lords of Shadow. If you go into the game knowing that it is a combat-heavy action game, then I don't think you will be disappointed. The story consists of a prologue and three acts, each from the point of view of a different character. The prologue is a short tutorial and has you controlling Gabriel, the main character of the trilogy. The other three characters are all out to find and defeat Gabriel, for revenge on what he has done in the past. Each act takes place at a different time and from a new character's perspective. It is interesting to see how Dracula's Castle changes over time. Each character also has different abilities which can be used to unlock new areas. This ensures that while you may be exploring the same place in each act, it doesn't get dull from a visual or gameplay standpoint. The pacing is also complemented by this three act structure. Each act gets better, with the third being really quite impressive. The level of spectacle is dramatically higher and the character you use is very adept, granting the player a satisfying sense of empowerment. 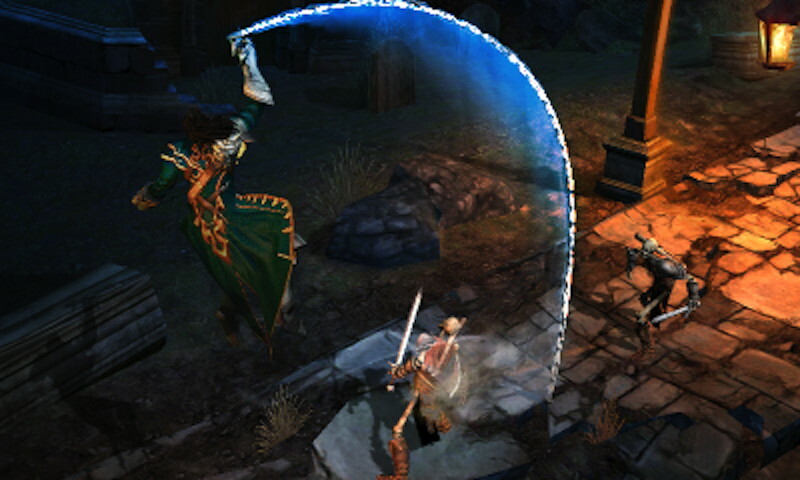 Gameplay is standard hack and slash fare. You use a combination direct and area attacks in conjunction with projectiles and magic. Beat down an enemy and if they start flashing you can do a cool finishing move. One element I have always liked about the Lords of Shadow games is the dark and light magic system. Each can be activated during battle and they serve different purposes. Using light magic while you fight will add health absorption to every hit you land, while dark magic grants increased damage. The light magic can be really helpful if you are in a tight spot and have low health while dark magic can make boss fights a lot less arduous. Each magic also has spells that can do a lot of damage, but I never found myself using them to be honest. The defensive component of the combat system also has a useful feature: While blocking and dodging are both viable options, countering gives you the best chance of obliterating your opponent. Countering is triggered by blocking an attack right before it lands. When done right, your character will push the enemy back and the game will go into slow-motion which gives you the opportunity to use your best combos. It doesn't have the same depth as Ninja Gaiden or Metal Gear Rising, but it is very competent and satisfying. I don't want to go into story or character details, because it is one of the reasons to play the game. Suffice to say that while you will probably guess the ending twist before it is revealed, it is entertaining. This narrative doesn't break any new ground, but I think it is presented very well and will keep you motivated to its conclusion. A combination of in-engine cinematics, readable scrolls and cel-shaded cut-scenes are used. I found the cel-shaded videos quite charming and they make the 3D screen really pop. In fact, I think this is the best use of 3D by a third-party developer on the system so far. I personally love 3D, but for those that don't it is worth pushing the slider up for this game. The 2.5D graphics allow for some great layering and MercurySteam haven't missed the opportunity to use it in interesting ways. During cut-scenes and finishers the camera will dynamically zoom in or pan around. The economical use of these flourishes keep them surprising and fun. The game is incredibly detailed and really makes use of the power this system has. The amount of detail in the game's graphics make sense when when you consider that the assets were all made in HD and scaled down to 3DS resolution. Therein lies a problem though, playing the game on a 3DS XL I was greatly impressed. However, the resolution and pixel density on the screen actually do a disservice to the effort MercurySteam has put into the graphics. During the moments where the game zooms in, you can see how much is lost in normal gameplay. This is an issue with the 3DS more than the game, but it does make me hope that the next handheld from Nintendo will a very high resolution display to go with its impressive 3D tech. The only other issue with this game from a visual standpoint is occasional slowdown, it can be annoying but it never gets in the way of gameplay. The Castlevania games are very well known for their use of sound to convey atmosphere. They have some of the best soundtracks in video games. I wouldn't say this soundtrack is up there with the series' best, but it is enjoyable. The voice acting and sound effects are decent but don't seem to have the same effort put into them as the console games. 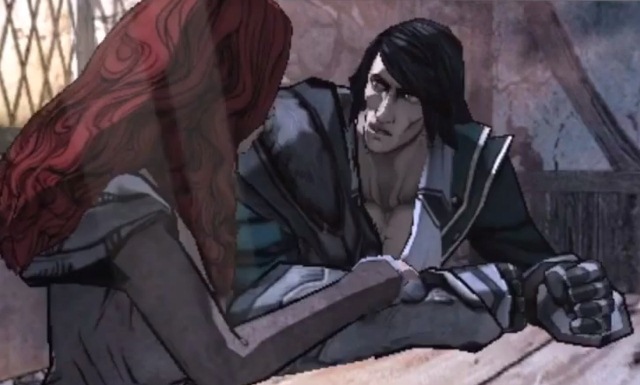 For example, in the trailer for Lords of Shadow 2, Robert Carlisle's monologue as Gabriel is amazing. You won't find anything as impressive as that here. It's a shame because as portable machines get more and more powerful, their games shouldn't be treated as any less important than home console ones. Overall, I really enjoyed the game. It has been quite a critically divisive title, but I like that it is trying something new with the Castlevania franchise. I know people love the classic formula, but MercurySteam have never made that kind of game and I would rather they make a good 2.5D action game than a bad Metroidvania one. It also doesn't suffer from being overly long like the original Lords of Shadow, I finished the game in about 12 hours which is perfect for this kind of action game. 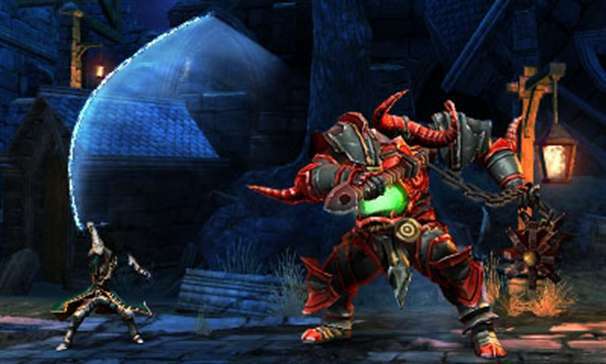 Sounds good - I liked Lord of Shadows on the 360, although I miss the Metroidvania style of old! However, I think your point on making a good action game rather than a bad metroidvania is a solid one. You just need to look at the original LoS for proof! Excellent review!